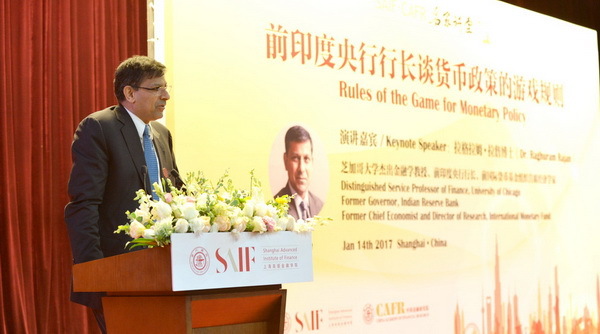 Dr. Raghuram Rajan, Professor of Finance at the University of Chicago, former President of the Reserve Bank of India and former Chief Economist of International Monetary Fund (IMF), shared his views on rules of monetary game at the SAIF-CAFR Distinguished Speakers Series to a roomful audience of over 400 scholars and practitioners on January 14th, 2017. 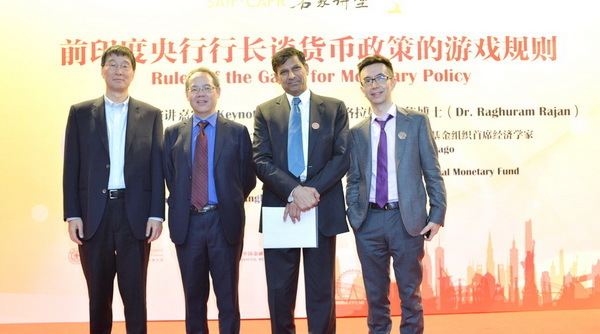 According to Dr. Rajan, though the communication between central banks is complicated and the existing international environment doesn’t facilitate the achievement of global protocols, it is essential to introduce new rules of monetary policy, in order to include potential spillover effect in the framework of decision-making, without compromising the interest of other economies in exchange of domestic growth. 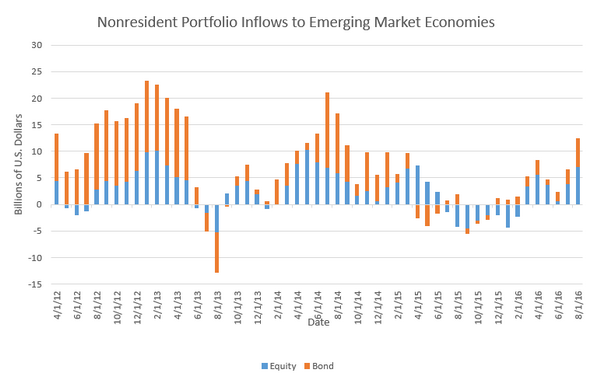 “Once the currency of an emerging market drops, due to lack of the same credibility as the Federal Reserve, European Central Bank and Bank of Japan, the market is concerned of further depreciation, which leads to the self-fulfilling effect. Probably the intervention of exchange rate is the best and the most realistic vehicle, yet it is not permitted by prior rules,” highlighted Dr. Rajan. 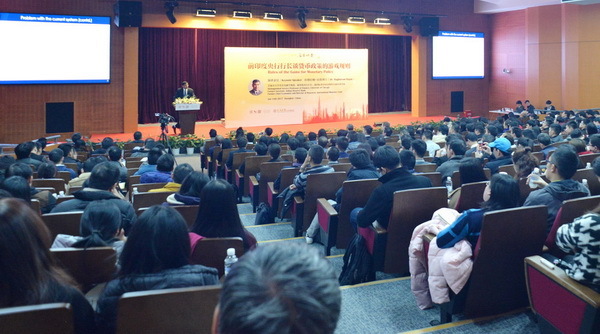 In his opinion, developed and developing economies follow different rules in the current context. However, due to its spillover effect, a matured economy needs to take account of international responsibility in its policymaking framework. Therefore, it is vital to create new game rules built on a number of implicit rules. Dr. Rajan proposed to classify monetary policies into three levels of rating, namely Green, Red and Orange, resembling the implications of traffic light. A Red Policy shall be avoided at all times. 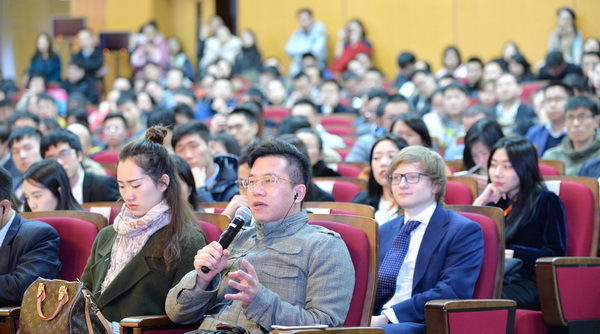 Though it creates positive effect on the local economy in short run, it has large negative effect on foreign growth, which leads to negative net effect. In contrast, an Orange Policy can be carefully implemented in short term but not on sustainable basis. It is important to take account of its short- and long-run results. 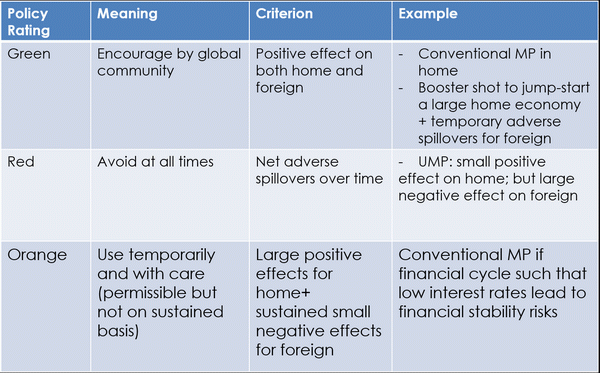 In summary, the appropriate policymaking framework shall consider the timing, the stage of business and financial cycle and its short- and long-term effects on both domestic and foreign economies.